From 2007 to 2016, women-owned businesses grew at five times the average rate of all businesses in the United States, according to the 2016 State of Women-Owned Businesses Report by Womenable and American Express OPEN. Women-owned firms increased by 9% in that time period and now comprise 38% of the country’s business population, according to the report. Overall, there are now 11,313,900 women-owned businesses in the United States, the report’s findings show. These businesses employ almost 9 million people. Since the recession, employment in women-owned firms has increased by 18%. 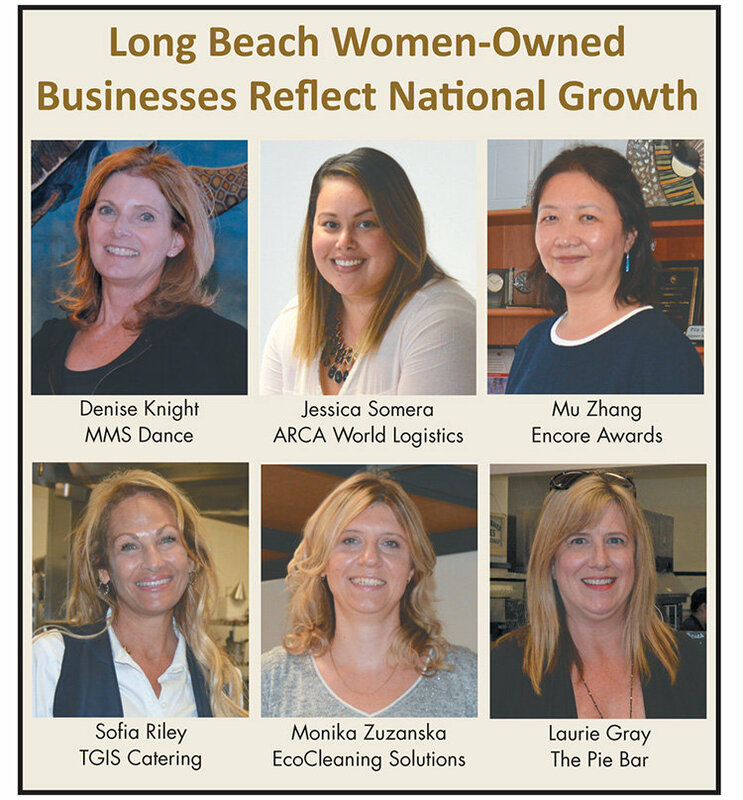 The growth of women-owned businesses is reflected in the Long Beach area women business owners profiled in this section. Each of these women struck out on her own, driven by reasons quite similar to those outlined by Balboa Capital. Whether fledgling enterprises (like The Pie Bar, ARCA World Logistics) or more established companies (like TGIS Catering, EcoCleaning Inc., Encore Awards and MMS Dance), all the women-owned businesses in this section have grown since their inception. They’ve added employees and clientele, and they continue to look to the future with the hopes of expanding further. 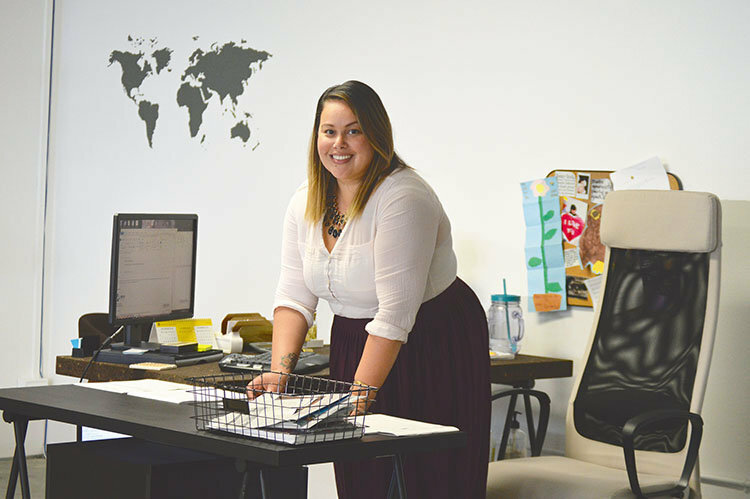 The women profiled in these pages cumulatively employ hundreds of locals and serve a wide variety of geographic areas, from Long Beach to Southern California and even countries overseas. Laurie Gray has been baking pies since she was a little girl living on a farm in Washington, where she and her mother would gather ingredients for their pies from their own land. 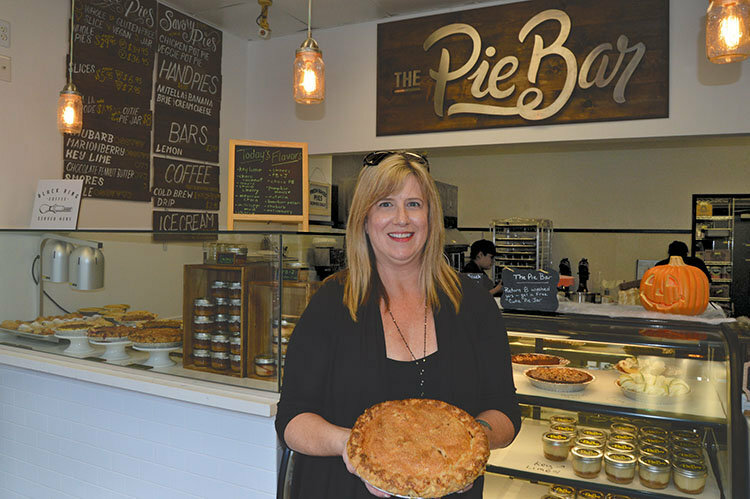 Now, she sells her sweet and savory creations at her own business, The Pie Bar, in Downtown Long Beach. “She was a stay-at-home mom, so she taught me how to bake everything from scratch and how to make pie crust. And we would roll pies,” Gray said of her mother. Gray eventually started a family and entered a career in corporate management. “That kind of took me away from my love of baking for about 30 years while I raised my kids and got them off to college,” she said. The Pie Bar quickly took off. Gray opened a pop-up shop at MADE in Long Beach on Pine Avenue (now MADE by Millworks) and began selling wholesale to local shops like Berlin Bistro and Steelhead Coffee. She also catered events and meetings. In June of this year, Gray opened her store at 450 Pine Ave., where she has nine employees. “It has been a lot of fun. We are way above what I projected we would be in sales,” she said. Gray’s biggest challenge is contending with the unknown – figuring out how to get from point A to point B with her goals. “You have to just keep pushing forward, and when you get frustrated or scared or don’t know what to do, you just have to take a leap and keep moving,” she reflected. In the future, Gray hopes to expand her business to other parts of the state, and perhaps beyond. In the late 1950s, Long Beach resident Marrillyn McDowell began teaching dance classes in her home garage. 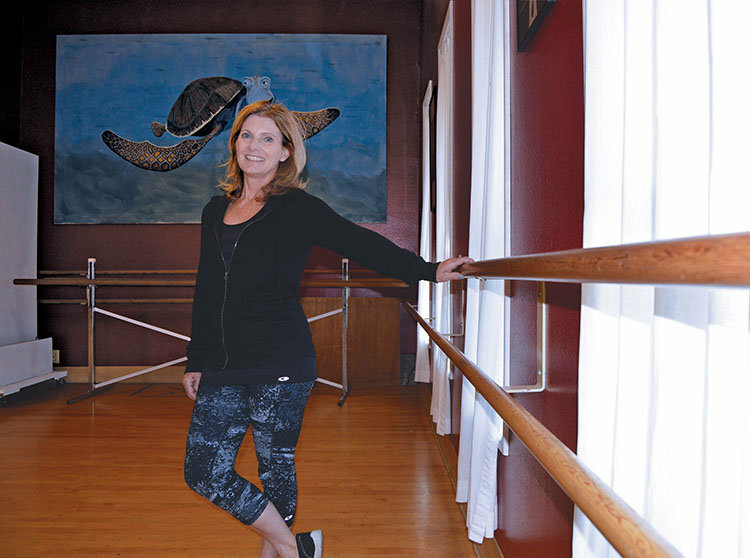 Thirty years later, she and her family built a studio on Redondo Avenue in Belmont Heights, where MMS Dance has been located ever since. Her daughter, Denise Knight, has served as director of the company since 1981 and has continued to teach classes as well. After high school, Knight got married and had a family. She went back to school in her late 40s and earned a bachelor’s degree in dance from California State University, Fullerton when she was 52. MMS Dance offers a range of classes to students of all ages – the youngest are two years old and the oldest-ever student was in her 80s, Knight noted. Specialties include ballet, tap, jazz, hip-hop, contemporary and conditioning classes for dancers. Growing competition in the Long Beach area has been the biggest challenge for MMS Dance in recent years, Knight said. “Over the years, there have been many studios open in our general vicinity. There is a lot to choose from, and I would say that is the biggest change – we’re not the only one any more,” she explained. MMS Dance is a neighborhood-oriented, family-friendly business that puts on two major productions each year – a holiday show and a year-end recital. Many students walk from their homes or from school to their afternoon dance classes, Knight noted. Past students have gone on to perform in professional dance companies and abroad. “My favorite part is watching the students grow and excel in this industry and being able to share my passion with them – and watching how they soak that all in and enjoy it just as much as I do,” Knight reflected. In the future, Knight’s goals are to continue offering quality instruction and to grow the business. For Sofia Riley, an endeavor that started as a catering business run out of her father’s restaurant 27 years ago has grown into a full-service event production company with a 25,000-square-foot operation near the Long Beach Airport. “I come from a family of great cooks. My father was a formally trained chef, and I think it’s just part of our gene pool,” Riley said. While not a formally trained chef herself, when Riley started her business, TGIS (Thank Goodness It’s Sofia) Catering, she did the cooking, the food preparation, the event service – everything. About a year later, she was able to bring in a chef, she said. Riley found event staff where she could – like in her father’s restaurant. “My dad would have waitresses working [at his restaurant]. I’d be like, ‘You want to make some extra money and come work this event with me?’” Now, she has 250 full-time and part-time employees. TGIS serves all the way from San Diego to Santa Barbara and as far inland as the desert, according to Riley. “We literally do thousands of events every year,” she said. People are often impressed when Riley tells them that the largest event her company ever put on was for 7,000 people. But with one crew and just one menu, that was not her biggest challenge, she said. “It’s on those days where we’ll do 40 events in one day, and . . . they’re all different [menus]. And they’re all going out with different trucks and crews, and my parking lot looks like a highway,” she said. One of the most memorable events Riley has done to date was a wedding – for dogs. Not knowing whom the wedding was for, her event staff showed up and found the pooches getting hitched on the beach. “The doggy was pregnant, and it was a shotgun doggy wedding,” she said, laughing. One of TGIS’s newest clients is the Los Angeles Rams. Their contact with the Rams has told Riley he knows she has everything under control. “I think that says a lot right there,” she said. Riley’s partner in business is her brother, George Marinos. She is also excited to have her daughter, who began working for her a few months ago, join the company. For the past 12 years, Jessica Somera has worked in various sectors of the logistics industry, including freight forwarding, importing, exporting and shipping. 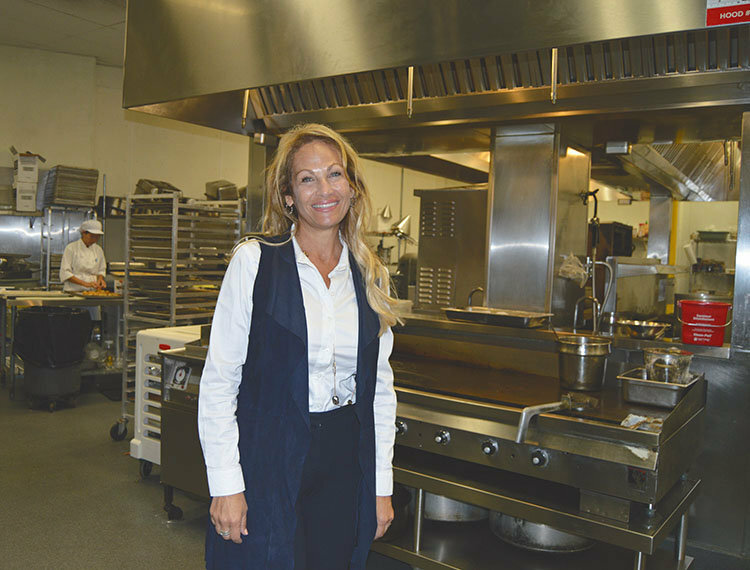 Her start in the business proved too corporate for Somera, a Long Beach native who wasn’t too keen on the traditional, buttoned-up environment. So eventually, she leveraged her skillset to start her own business. Somera first started working in logistics after she graduated from college, when she got a job at a Fortune 500 freight forwarding firm. “It was very much corporate America, and as a young girl from California – I was born and raised in Long Beach – I really wasn’t into that lifestyle,” she said. She quit the business but, after a few years working in retail, ultimately decided to come back to it. “The good thing about this industry is that it’s consistent, and there is always work to be done,” she said. In 2014, Somera and her husband were living in Charlotte, North Carolina, and decided they wanted to come back to Long Beach. Her employer at the time supported her decision to move and start her own business. “They supported me 100% of the way. And I actually move a lot of their cargo for them now,” she said. ARCA World Logistics opened its doors in January 2015, with the help of other investors who are primarily silent partners, Somera said. She handles the day-to-day operations of the business, which has three employees. In working for large corporations, Somera saw that small and mid-size businesses were often not prioritized in lieu of doing business with big box retailers. Those businesses are now her focus. “I reached out to a lot of startup companies. . . . And I really hold their hands through the entire process,” she said. Some of Somera’s biggest challenges in running a business include hiring employees that fit into the business’s culture, she said. “This is only our second year of business, and I’m so excited because we’ve had so much growth over the past year and a half,” Somera said. In the future, she hopes to open another office on the East Coast or possibly in China. A native of China with an engineering degree and a master’s in international business, Mu Zhang worked in the corporate world for many years but has always had an entrepreneurial spirit, she told the Business Journal. This drive is what led her to become owner of Encore Awards in 2009. After arriving in the United States, Zhang lived in Marin County in Northern California for some time and eventually moved to Long Beach. “I started my corporation, called GWS International Inc., in 2005 when I was also working for a major U.S. cosmetic manufacturer,” she recalled. She started GWS International with the intention of eventually purchasing a company, she said. Encore Awards was founded in 1984. Three years later, Encore acquired Hollywood Trophy, a business founded in 1969 that supplied the Golden Globe Awards, Academy of Country Music Awards and other awards ceremonies. Al’s Rubber Stamp of Whittier was purchased by Encore in 1997. In 2001, Jensen’s Rubber Stamp, a historic Long Beach business founded in 1929, was acquired. All products are custom-made at Encore’s 4,500-square-foot Long Beach facility by Zhang and her five employees. “We are from California, but in reality, we are shipping all over the place,” she said. Zhang’s biggest challenge as a business owner is competing in the Internet age, she said. The Internet allows competitors to offer similar goods at cheaper prices and lower quality by essentially talking their products up, she explained. So Encore competes by focusing on the quality of its products, she said. “All businesses are different. So the key is to find your own strength, what you’re good at the most, and compete in that particular area,” Zhang said. Some such strengths of Encore’s include crystal products with etchings and acrylic awards, she noted. For Monika Zuzanska, what began as a way to put herself through school became a bustling business and a whole new career. The Polish native immigrated to the United States in 2001 in pursuit of opportunities and a better life after earning a master’s degree in biomedical engineering from the Wroclaw University of Technology. She began working for a Polish couple who ran a house cleaning business in 2002 to help pay for English and accounting classes. She began preparing to enter an MBA program, but her life took a different course when she became a single mother. In addition to being inspired to work for herself, she felt the need to go into business to support herself and her son. So she bought out the couple she had been working for and started Monika’s House Cleaning with 15 clients. At first, Zuzanska ran the business on her own, but in 2005 she hired her first employees. As the business began to grow, Zuzanska noticed a trend – people were looking for environmentally friendly and nontoxic cleaning solutions for their homes. She rebranded her company as EcoCleaning Solutions Inc. and shifted her focus to cleaning with eco-friendly supplies. “They are safe, especially for the kids and pets,” she said. Using these products is also safer for employees, who don’t have to breathe in toxic fumes, she noted. EcoCleaning Solutions now has more than 100 clients and serves the Greater Long Beach area, including Seal Beach, Rossmoor and other local cities. This year, Zuzanska moved the business from North Long Beach to a larger location with a small warehouse in Los Alamitos. “Having a real office, that was kind of a big moment for me,” she said. One of Zuzanska’s biggest challenges is finding employees. Many people who respond to her job postings don’t have drivers’ licenses and aren’t legal, she said. “I set up the business so that everyone I hire is legal,” she explained, adding that she sympathizes with those she can’t hire due to legal status. Currently, EcoCleaning Solutions primarily services homes and vacation rentals, but in the future, Zuzanska hopes to expand to do more commercial cleaning. Her business plan, which she developed during her time in the Goldman Sachs 10,000 Small Businesses program, has the goal of reaching $1 million in revenue by 2018.